The Gibsons & District Chamber of Commerce is here to support you. We represent businesses of all sizes, formats, segments and location. Members receive numerous promotional perks, exclusive advertising, networking options, and additional exposure for their companies or organizations. 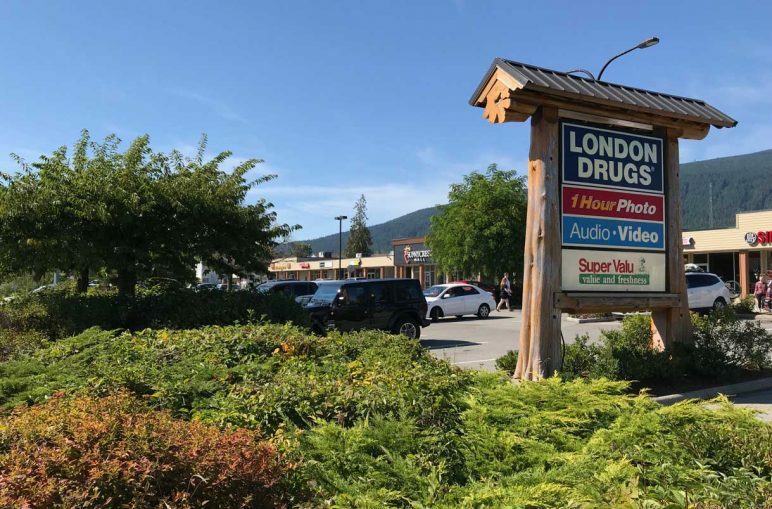 It’s actually quite simple — the Gibsons & District Chamber of Commerce is a group that’s dedicated to representing the interests and concerns of local businesses. Our communication tools are: the Gibsons Chamber website through our Chamber Connector Newsletter (goes to over 660 Sunshine Coast subscribers); our Member2Member Bulletin (to over 250 member subscribers Coast Wide); Social Media — Facebook and Direct Mail. Event Sponsoring allows you to support special events such as key note speaker, presenter, dignitary, a merchandise/information display about your business and receive communication focus in all our media and communication programs. Chamber Office Window Display — be the sole advertiser or in our large (9′ W x 12′ H) picture window display space in Sunnycrest Mall. Or we can divide for you. High pedestrian traffic 7 days a week for a whole month. Advertising & Racking during prime tourism season of May-September at the VIP in our seasonal Information kiosk. 6,000+ vehicles stop for information, directions, use the facilities and get ready for their Sunshine Coast experience. AFFILIATE DISCOUNT — Members of other coast Chambers receive a 20% discount on their membership. Discounts do not apply to the $115 rate. 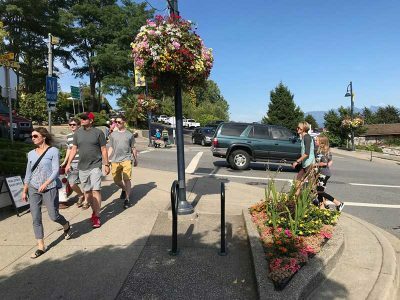 NEW: If you wish to have racking at the Gibsons Visitor Services in Lower Gibsons, Sunshine Coast Tourism is now charging Chamber Members $125 to rack. If you are already a SCT member, it is only $75. Contact SCT. Joining the Chamber of Commerce gives you access to financially valuable member programs, to business networking opportunities, and to a host of other benefits. Most of all, it’s a chance to become involved, make new connections, have your voice heard, and help build a better community for all of us. Money Saving Benefits — Benefits include access to affordable health and dental insurance packages for businesses with 1-50 employees, discounts on goods and services, and referrals to local businesses who can help you with your needs. Affiliations — Through the Gibsons Chamber you become a member of the BC Chamber of Commerce and the Canadian Chamber of Commerce, which provides a wealth of information and resources for businesses of all sizes. Plus you join a network of chambers of commerce across the country. Advocacy — We work with municipal and regional government to advocate for the interests of business in local issues, and matters of policy and regulation. We facilitate partnership building between community groups with similar goals, and offer support to progressive community initiatives. We communicate timely and relevant information to our members and other groups in the community. Last, but not least, we work behind the scenes with individual business owners to resolve problems. Business owners can find it difficult to advocate on their own behalf because they do not want to alienate people who are also their customers. We can help. Marketing Opportunities — The Chamber offers free promotional opportunities to members. These include: web directory listings, brochure distribution through the Visitor Information Centre and our office, window displays in our mall office, and discounts on display advertising on our website, in publications, and at the Visitor Information Park. Education and Networking Opportunities — We keep our members informed about local issues and events through monthly e-newsletters. We organize trade shows, meetings, and training programs, and hold regular Business After Hours Networking get togethers where members can meet informally. There is a good chance that other local business people have walked the same road as you, and can offer advice and support as you pursue your business and career goals. Reputation — Your Chamber of Commerce promotes professional and ethical conduct and business practices. When customers see our sticker on your door or our name on your website, they know that you support business excellence. Participation — As a full voting member you help elect the executive and can add your voice to shaping our initiatives and policy. Volunteering for the board is also a tremendous way to build business relationships, friendships and community. Office Services — Members have access to copying, scanning, email service, and private office board table meeting space available through exclusive use of our office. We also provide friendly information and contacts, which can be particularly helpful to newcomers and those starting new businesses. Visibility — Through awarding high school scholarships and partnering with many local community organizations, we remind everyone about the vital contribution that local business makes to the community.